Saul ‘Canelo’ Alvarez is one of the premier names in the sport and a lucrative 2018 could be on the agenda if he gets in place for the biggest fights. The most obvious next opponent for Alvarez has to be Gennady Golovkin in a much-anticipated rematch, expected to take place on May 5 (Cinco de Mayo) 2018. The pair fought to a draw in September, even though many fans thought Golovkin had done enough to claim victory. Judge Adalaide Byrd hit the headlines with her 118-110 scorecard. Las Vegas commissioner Bob Bennett even hauled her in to explain the reasoning behind her outlandish scoring. “She has to articulate why she scored each round as she did. She was off her mark,” Bennett told BoxingScene. Hopefully the rematch will put all of this to rest but whoever wins will take the overall totals to one win and one draw, prompting the loser to possibly ask for a third fight to settle the score. 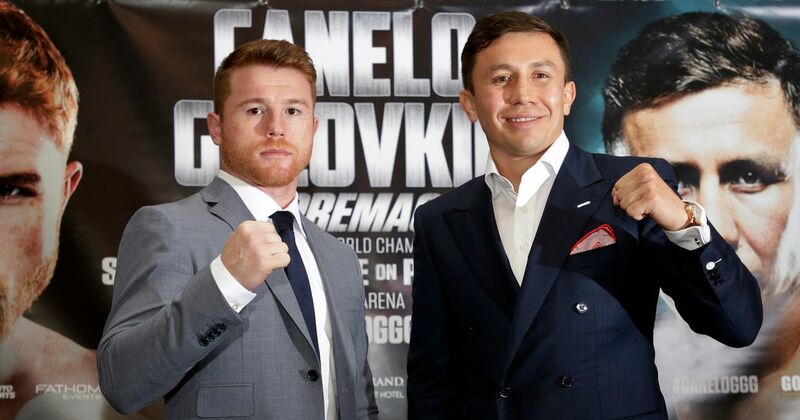 This could therefore conceivably tie Canelo up for a third fight in 2018. Rumours currently suggest that New York’s iconic Madison Square Garden could be vying for the right to host the fight, with Jerry Jones’ Cowboys Stadium in Dallas also in the running. As for other possible Alvarez opponents, one man who pushed Kazakhstani crusher Golovkin so close last year could possibly find himself in a Canelo super fight. Then with the PBC, Danny Jacobs has since signed with Eddie Hearn’s Matchroom Boxing USA outfit and would fancy a crack at Canelo if a deal could be struck. A recent addition to the middleweight ranks, Jermall Charlo, could step up and take on the Mexican. I am of the opinion that stylistically Charlo would cause issues for both Canelo and Golovkin. He has shown speed, power and no shortage of ability during his professional career, since turning over in 2008 and the 27-year-old is entering his peak years. His only foray into the 160lb division thus far was a stoppage win over a severely depleted Jorge Sebastian Heiland. The Argentine was quite literally crippled by injury and also by politics when he lay on the shelf waiting for his WBC title eliminator opportunity and thus entered the ring injured against Charlo. Jermall dutifully dispatched his opponent and would certainly be up for a crack at Alvarez. Billy Joe Saunders has been vocal in his pursuit of Canelo and Golovkin lately and if Canelo snatches the IBF, WBC and WBA titles off Golovkin on Cinco de Mayo then he will surely turn his attention to WBO ruler Saunders. Billy Joe was outstanding over the weekend when outpointing David Lemieux in Canada and believes that he is now in a better mental place training with Dominic Ingle in Sheffield and certainly his fitness and focus has both dramatically improved of late. Speaking of Lemieux, the Canadian may have been comprehensively defeated by Saunders but don’t be surprised if he’s not recycled as a Canelo opponent next year – especially if the Mexican loses to Golovkin in their projected rematch. Lemieux is under the Golden Boy banner and Oscar wouldn’t be averse to getting him a couple of confidence rebuilding wins to try and erase the memory of his Saunders drubbing, before pitching him in with Alvarez, while hoping that the fight fans have forgotten enough of his limitations by that point to make him a live underdog. Lemieux does have fight-changing punching power but I would expect Canelo to deal with him in a similar manner to Golovkin when he bettered Lemieux.